Franklin’s Experiments is the most important scientific book produced in colonial America. Along with the many editions of Poor Richard’s Almanac and the posthumously published Autobiography, it is the essential text in which Benjamin Franklin (1706-90) has embodied his legacy, combining an irresistible empiricism with a flair for catchy precept. 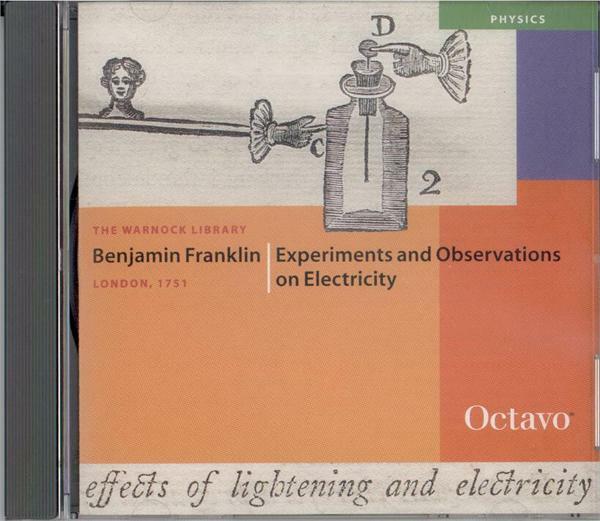 Here Franklin publishes his legendary experiment of the key, the kite, and the thunderstorm, providing proof clouds are electrified; here too he documents his invention of the lightning rod and analyzes the action of the first electrical condenser, the Leyden jar. 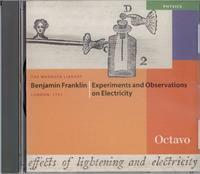 Franklin originated the still-current nomenclature of “plus” and “minus” to distinguish positive and negative charges, and proved the identity of atmospheric and frictional electricity. As one of the more important Founding Fathers of the American nation, Franklin’s direct and forthright expression served as moral example to generations. Franklin in the original edition provides a refreshing view of scientific creativity and the nobility of diligence from a foundational period of the modern scientific and political era.